44 Years later, I read online about John’s tooth coming up for auction, offered by the family of Dorothy, who was now 91 years old. I couldn’t believe it. She was the lady who altered my destiny, and she was still alive. We had our first meeting via Skype and I finally was able to thank her. Then she told me her story, which has never been published before, about life at home with John and his family, teaching John how to drive, and other anecdotes from back in the day. Click to get a preview on Amazon, iTunes, Nook, Kobo. Approx. 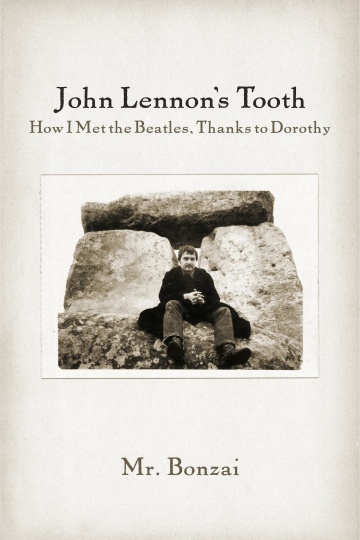 30 pages with photos and excerpts from my journal at Abbey Road.